Mark and I eat at home on a regular basis using my ALDI MEAL PLANS. Not only does it save money, but it's typically healthier, too. I usually do my meal planning and grocery shopping on Sunday afternoon and come home with some pretty amazing grocery bargains which keep us from eating out most weeks. But sometimes, it's nice to eat out. This is especially important for date nights if you have children. Eating out, though, can be expensive. It's not unusual to spend $30 to $50 on two meals and desserts. And I don't know about you, but that kind of spending was just not possible when we were digging our way out of debt. So how do you keep the spending down while enjoying a few meals out on the town? The mere presence of a budget can help you avoid certain high-end restaurants or over-the-top meals. That's why my first tip is to get a budget. 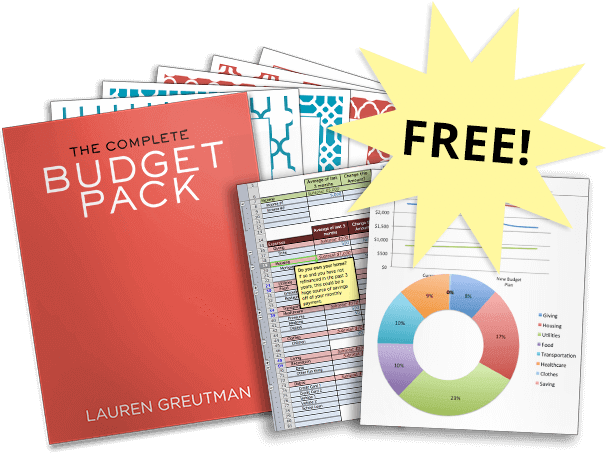 We use The Personal Finance Planner to budget our months along with Tiller. We set our Restaurant money aside everything month into the restaurant envelope that comes with the planner. Remember, a budget doesn't just keep your spending in check, it encourages you to find ways to save money by forcing you into a frugal mindset. When you know you're on a budget, you'll naturally save money. When Mark and I first started budgeting, we knew we were spending way too much going out to eat. Try Some Discount Websites. Groupon.com probably has some great discounts for food at restaurants in your area. One discount on Groupon included $26 of food for only $15 – that's a great savings! If you're not too picky about where you eat, then Groupon just might be for you. Another tip: You may want to ask friends and family on Facebook to suggest some local discount websites where you can purchase gift certificates for less than they're worth. Many of these types of websites offer discounts for small restaurants looking for more business – but that doesn't mean the food is bad! You can buy discounted gift cards for the restaurants you love on websites like Cardpool.com or Raise.com. When Mark and I were getting out of debt I would take surveys and use Swagbucks.com to earn gift cards to make extra cash. If you're going out to eat with your spouse, you may want to consider ordering one meal and splitting it between you. Here's the thing . . . most restaurants serve portion sizes fit for a king, and given that nobody needs to consume all those calories in one sitting, you might be better served to split the meal with your loved one. If you have young children, you can even give them some of your meal – they probably wouldn't eat a whole meal anyway. The downside to this strategy is finding a meal that multiple people like. But the more you do this, the easier it will get in time to scan a menu and find something multiple people will enjoy. Find a list of the restaurants where kids eat free. There are 2 restaurants that we eat at when we go out to eat. We frequently eat out at Ruby Tuesday: Get a free kids meal per 1 adult meal on Tuesdays. We have 4 kids so we just order 2 of their largest kids meals and split them between the kids. This is similar to the last tip, but with a twist. If you're dining out solo, you obviously don't have anyone to split the meal with. What do you do? Order half of a meal! Some restaurants will do this for you and others won't. The ones that won't, well, you may choose to not visit them again. Restaurants seem much more willing to accommodate their guests these days, so they may not be surprised or taken back by your request. In fact, there was a recent article in the New York Post talking about NYC's “most annoying” new dining trend: ordering half entrees. True, some restaurants want to sell an entire meal; it's pretty difficult to split a steak or fish. But some restaurants will be willing – especially if the meal is easy to split. Instead of going to restaurants with waiters or waitresses, try restaurants that allow you to serve yourself. Buffets are one example of this type of restaurant. Usually, the meals will cost less and tipping isn't expected. In fact, sometimes these types of restaurants will advertise that tipping isn't necessary. If you're going to a restaurant where tips are expected, by all means, do tip! But if it's not expected, you can save a few bucks by going to self-serve restaurants. 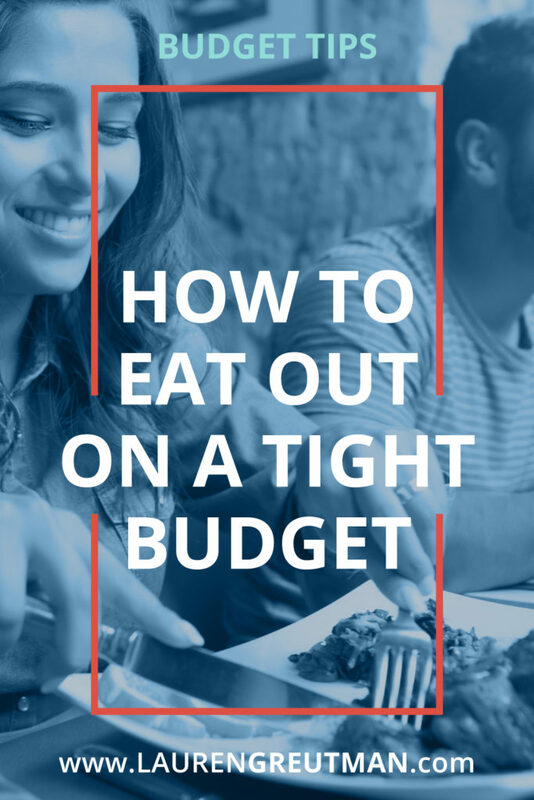 By simply becoming more aware of your spending habits and sticking to a budget, you're sure to find many other ways to save money eating out. When you do eat out every once in a while but do so with a plan instead of looking at your bank statement and wondering what happened. Do you have any tips for our readers on how they can save money eating out? How do you save money? Leave a comment and let us know! Our children are little and prefer chicken nuggets and french fries. We try to go to Wendy’s as often as possible and buy their 4 for $4 meal. By buying two of those and a small frosty for dessert, we feed 2 adults and 2 kids for about $10! Way less than most other fast food restaurants. Try using http://www.Restaurant.com for discounts to local dining. Many are half off ! A perfect way to try a new place on date night. Also, try going out for lunch on a date and not dinner. You can often get the same meal for less. Or make it Lunchtime take out and serve it someplace else for dinner.